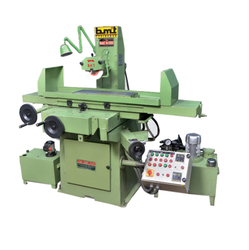 Pioneers in the industry, we offer hydraulic surface grinder machine from India. Hydraulic Surface Grinder Machine provided by us is of supreme variety and engineered with perfection to meet the international quality standards. Available in different dimensions, we also offer customization of our range as per the requirements laid by our clients. This hydraulic surface grinder is made of high grade castings so as to eradicate the internal stress for unwavering functioning in all types of grinding jobs. Looking for Hydraulic Surface Grinder Machine ?